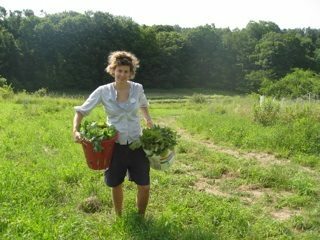 Founder and director of the non-profit organization The Greenhorns, Severine von Tscharner Fleming will give an introductory overview of many issues surrounding new + beginning farmers. Learn more about the Greenhorns organization, receive help interpreting other institutions in the agricultural arena, and discuss how to organize and support farmers in your community and across the country. March 6th. 4-5:30pm. 32 Prince Street, NYC. SIGN UP! – This will be a briefing for newbie/aspiring farmers on what to expect, how to prepare, how to contextualize their first season farming, and which resources to tap into. – It is also for those who wish to plug into the beginning farmer scene via their non-farming trades or crafts—and to figure out how to do that. – OR for those who want to WOOF, volunteer occasionally on a farm, and get a taste of the agricultural scene—where to look and how to be most useful. – OR for those who might like to partner with farmers, help form farm businesses, or rent or sell land to farmers.